Albert Hall is a Grade II listed venue that plays host to variety of events from live music to club nights. 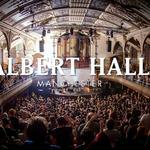 Do you work at Albert Hall? What did you think of Albert Hall?